Whats not to love about this bikini top for the vacay season girl? Featuring a multicoloured chain print design material with tie sleeves. 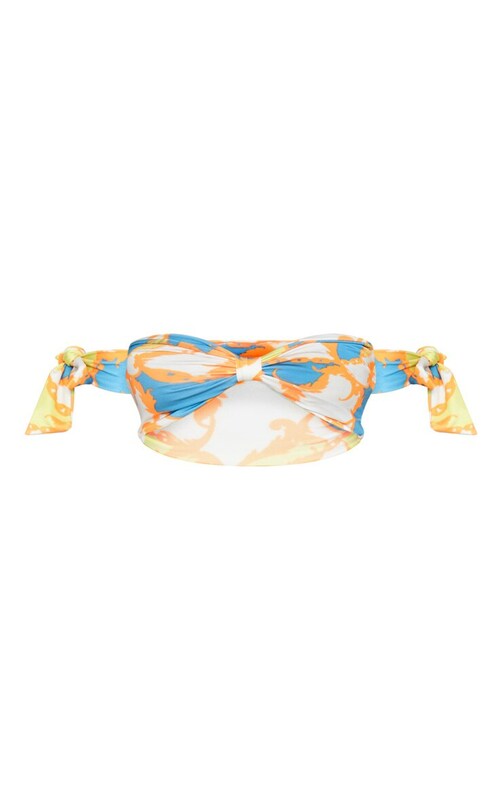 Team this bikini top with the matching bottoms and your fave sunnies.